Page title: Why Is an Icicle Shaped Like an Icicle? In his cluttered lab at the University of Toronto, Stephen Morris peers through the viewfinder of a camera pointed into a slot in an insulated plywood box the size of a beer fridge. Jutting wires and hoses connect the box to water tanks, drains, and power sources. Inside, a mixture of water and fluorescent dye dribbles from a hose onto a rotating wooden spike dangling in the chilled interior. Each drop of the liquid gradually freezes, layer upon layer. An object slowly takes shape: a delicate icicle. As the tapering column of ice lengthens and widens, something curious happens: the smooth surface develops ridges and valleys. From stem to tip, the entire icicle grows a new, textured skin. Some physicists search for a “theory of everything” by smashing subatomic particles together or by imagining the inside of a black hole. Morris chose another path, focusing on “emergent properties”—natural behaviours that could reveal universal principles about how nature develops order and complexity from seeming chaos. Icicle ripples are an example of one type of emergent property. Nature offers many other cases where a flat state spontaneously develops patterns: dirt roads develop washboard ruts as cars drive over them, syrup poured onto a moving surface goes from smooth to undulating, and stalactites in caves “self-organize” with ripples. Morris has studied them all. Under his gaze, these patterns offer up stories about the mathematical bones that give our universe structure. In high school in Vancouver, Morris was a tinkerer. He was happiest playing with computers and electronics or working on projects in shop class. His girlfriend, Mary de Bruyn, was more into literature. Morris went on to study physics at the University of British Columbia and the University of Toronto, and de Bruyn, now his wife, studied classics. They feel they found parallel paths. “The classicists are the physicists of the humanities,” Morris says. “They don’t do things in translation. They learn Latin and Greek. We used to know a guy who could sight-read hieroglyphics. He could look at a picture of an ancient temple and just read it.” Morris mastered a different language, one created not by ancient peoples but by nature. 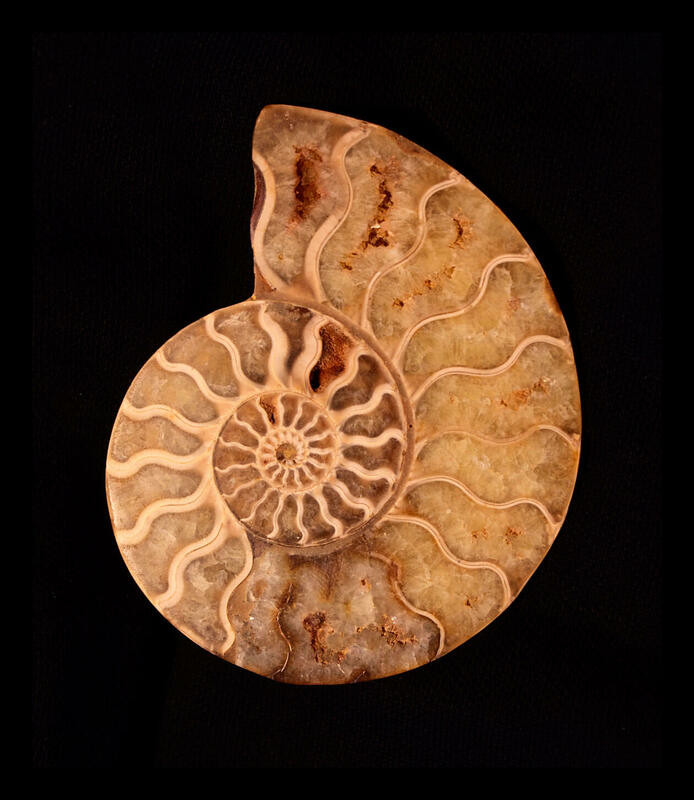 It is a vocabulary of spirals and branches, of curved rivers and cracked earth, of polygons, fractals, waves, spots, and stripes. And every time he watches a water droplet freeze at the end of one of his icicles, Morris inches closer to understanding where natural order and patterns come from. Geomorphologists often spend their time in the field, clambering over rock formations or studying erosion. 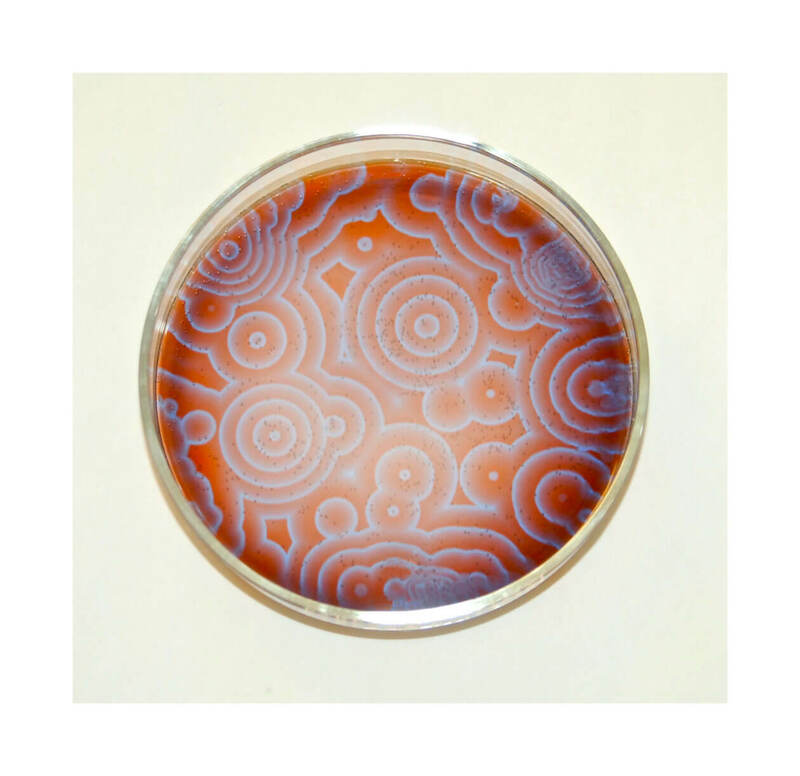 But, as a physicist, Morris is more at home in his jam-packed lab full of spools of coloured wire and bottles of chemicals, hunkering over experiments that reveal the essence of pattern formation. Natural icicles, for example, are subject to inconsistent natural elements, including rain and wind. Here in the lab, Morris can control variables like temperature, air turbulence, and water flow, allowing him to narrow down the factors that might trigger emergent properties.His work strips away the mess and noise of the natural world, leaving him with precision and simplicity. Morris’s pinwheels were more than just pretty—they also contained meaning. It was his introduction to the idea that experiencing beauty could also get you closer to universal truths. A year or two later, he was heating a thin layer of gas and noticed that, as the warming gas separated into hot and cold zones, it began to self-organize into something that looked like an alien fingerprint or an aerial view of the world’s most elaborate hedge maze. 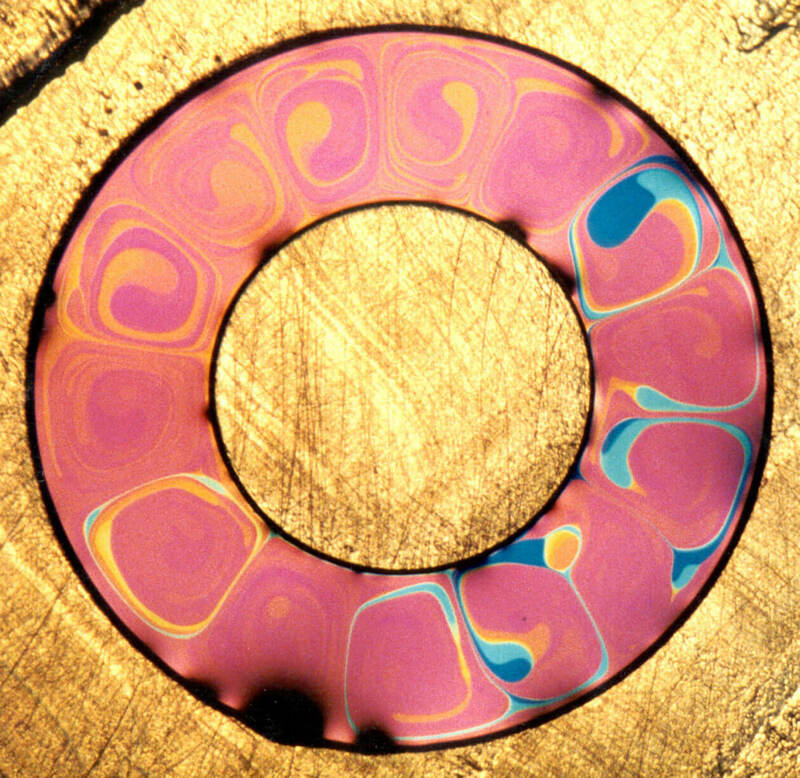 Morris and his colleagues called this pattern “spiral defect chaos,” and to this day, it is one of his favourites. He exhibited an enlarged but otherwise unaltered version in an art show at Toronto’s Project Gallery in 2013, and he wears a “spiral-defect-chaos sweater,” which de Bruyn made for him, when he delivers talks on the art and science of patterns. 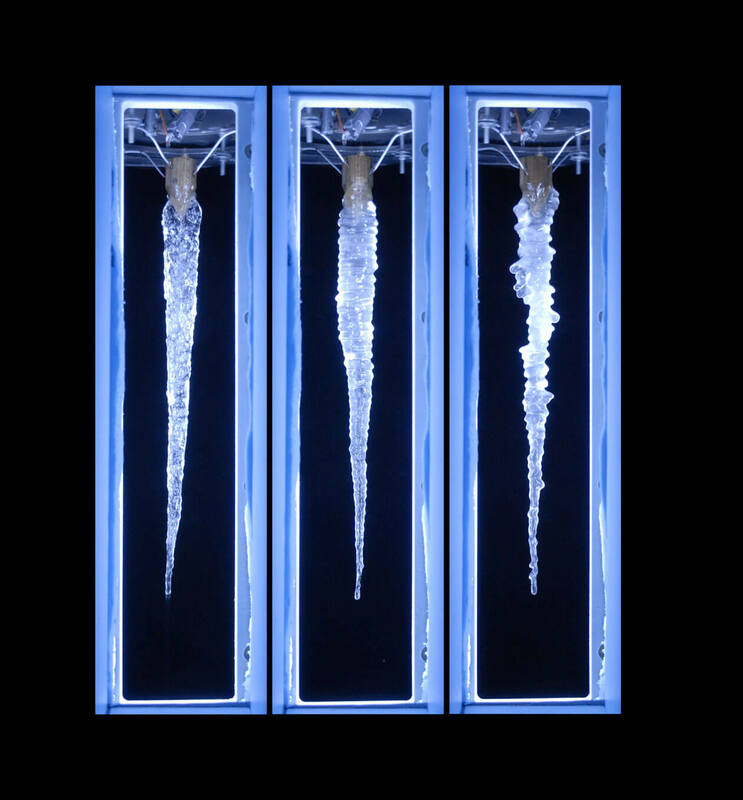 In march 2015, Morris launched an “icicle atlas,” an online database containing more than 230,000 images, videos, and 3D-printable icicle files. The atlas, which garnered him international attention in both media and academic circles, was based on revelations he and his team had during tests in 2008. “We did our first experiments with tap water because, you know, it’s just water,” Morris recalls. “We saw beautiful shapes with nice ripples on them, and we thought, ‘Okay, everything’s working, let’s up our game a bit and use distilled water.’ And what do you know. The ice is totally different.” Distilled water formed icicles as smooth and even as a skating rink. Morris thinks the ripples must be caused by something in the water, an impurity that affects the temperature at which it freezes as well as its flow, that breaks the uniform surface and creates the regular rings. Morris has tainted his icicle water with varying amounts of salt, sugar, cobalt chloride, and other impurities, including fluorescent dye that changes colour when it freezes, allowing him to colour map areas as they transition from liquid to solid. Every addition caused the ripple effect. Morris had solved one mystery but was left with another. Every impurity, at every concentration, had the exact same effect: the ripples were always one centimetre wide—never larger or smaller. Why does the self-organizing mechanism work in exactly the same way, independently of so many variables?